Won’t You Be My Neighbor? is an inspiring and heartfelt documentary about Fred Rogers and the evolution of his beloved television series, Mister Rogers’ Neighborhood. 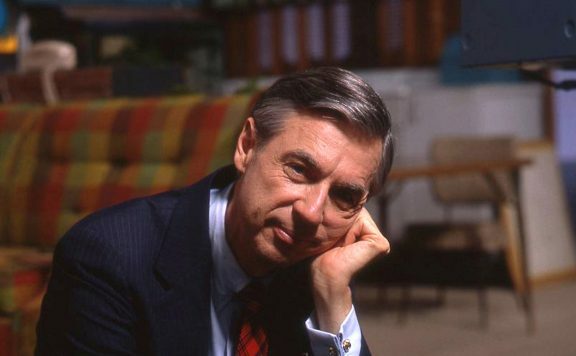 The film, which is directed by Morgan Neville, is not only a celebration of Fred Rogers as a television personality but an in-depth look at his life behind the scenes. Neville highlights what Rogers stood for as well as his constant fight to keep quality children’s programming on the air. As someone who grew up watching Mister Rogers’ Neighborhood, I was blown away by how little I actually knew about Fred Rogers as a person. Neville’s well-crafted documentary is not only educational but a loving tribute to the man who cared more about educating children than making a buck. I cannot remember the last time that I was this moved by a film, let alone a documentary. As I watched Won’t You Be My Neighbor during its final screening at Sundance, I was blown away by the audience’s reaction to the film. There were moments where people started to sing, moments where people cheered and even moments where they cried. As the film came to a close and the end credits began to roll, I was in tears as were many others in the audience. I hate using the phrase “there wasn’t a dry eye in the house” but as I began to walk towards the exit, this seemed to be the case. Fred Rogers welcomed me and millions of others into his television home. The lessons that I learned from Mister Rogers while watching his show throughout my childhood helped shape me into the person that I am today. Mister Rogers’ Neighborhood was on the air for over three decades and yet somehow the show never changed to be “hip” or “cool” to the times. Fred Rogers stood for something and he refused to sell out and continuously fought for what he believed in. Rogers wanted to make a difference. He respected childhood. He wanted to help children understand what was important in life. He wanted to educate. He wanted to address subjects that weren’t always the easiest to explain but tried anyway to discuss and bring awareness to important topics and themes going on in real life. It is so inspiring knowing that Fred Rogers dedicated his entire life to educating and bettering the youth of America. He became a voice of reason and one that not only cared but stood for something important. 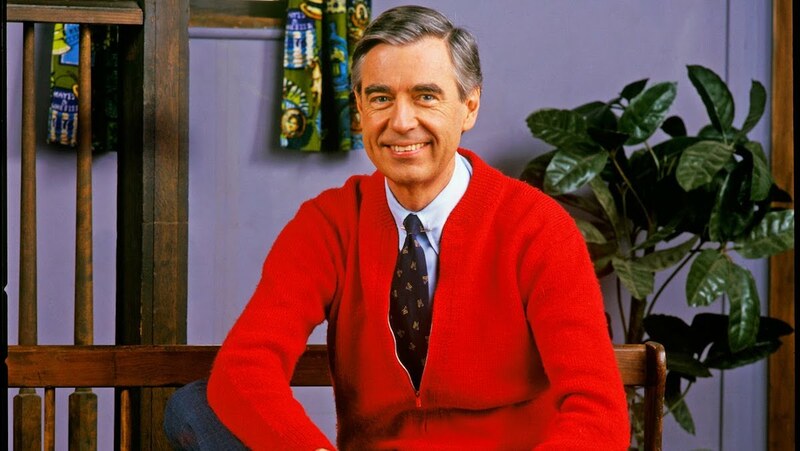 The fact that Mister Rogers Neighborhood dedicated several episodes to topics such as assassination, depression, and divorce was so important. By taking the time to focus his show on these difficult subjects really showcased his passion for wanting to help others. 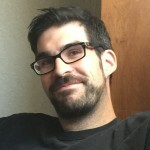 Rogers, not only dared to tackle tough topics, but he broke down racial barriers by hiring François Clemmons and gave him a recurring role on the show. Rogers went up against Congress to save PBS when the government was going to pull funding and shut down the network. I didn’t know or realize he did any of this prior to seeing this film. People like Fred Rogers are few and far between which is why his story is such a remarkable one. I didn’t know that Fred Rogers was a die-hard Christian nor did I know he was a Republican. It is so interesting to learn these things because nowadays we as a society have such a bias when someone labels themselves as a Christian or a Republican. This wasn’t the case with Rogers at all. He didn’t try to push his beliefs onto anyone or have a political or religious agenda. Rogers just wanted everyone to embrace being who they were and wanted everyone to be treated with kindness. He wanted nothing more than for everyone to realize that they were special just the way they are. When watching the show as a child, I always remembered my favorite part of each episode being the Neighborhood of Make-Believe scenes that featured King Friday XIII, Daniel, Owl, and several other puppets. What I didn’t know was that each of these puppets in some way reflected a side of Mister Rogers that I didn’t see. Daniel the tiger was always shown as insecure while King Friday was shown as stubborn yet confident. Knowing that he put elements of his own personality into these characters was such a creative way to express his feelings and emotions to a wider audience. Shows like Mister Rogers Neighborhood don’t exist anymore. We don’t have programming that is made simply to inform and better our children but instead to sell them things. There are a lot of shows nowadays that are geared towards educating children like Sesame Street but they all come at a cost. They are all about selling products whether it’s talking dolls or theme park tickets. Rogers fought against all of that and I admire him for refusing to cash in on his brand. Since the beginning of his show, Rogers fought against consumerism which has sadly ended up being the goal of a lot of children’s programming. Rogers didn’t want to sell action figures, lunch boxes, or t-shirts but instead wanted a show that was created not only to entertain but inform and help spread kindness and acceptance to children of all backgrounds. Fred Rogers was more than a television personality, he was a man with a vision. His dream was to build a television community that would spark intelligent conversations and make children ask questions. He was an unsung hero and someone that clearly did a lot more than he was ever given enough credit for. Without ignoring Fred Rogers shortcomings and flaws, Neville ultimately pays tribute to the man who used television for the greater good. Won’t You Be My Neighbor? is heartfelt, moving, and eye-opening documentary that is sure to bring millions of people to tears. I will be so upset if Won’t You Be My Neighbor? doesn’t get nominated for Best Documentary at next year’s Academy Awards. Won’t You Be My Neighbor? isn’t just the best documentary of 2018 but one of the best documentaries ever made. I have never been this moved by a documentary ever. Even if you typically aren’t a fan of documentaries, do yourself a favor and see this remarkable and uplifting film. Won’t You Be My Neighbor? opens in select theaters on June 8, 2018, and is currently my favorite film of 2018. 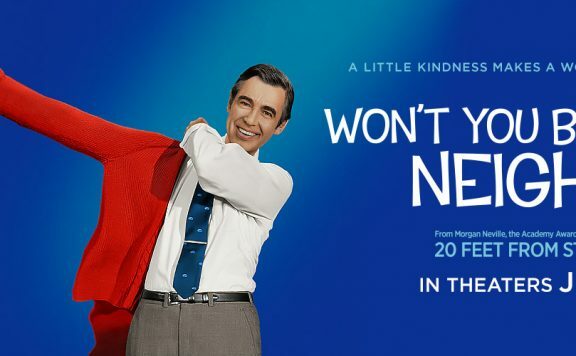 Scott ‘Movie Man’Menzel’s rating for Won’t You Be My Neighbor? is a perfect 10/10.